Garden of Life Salmonella Outbreak Update – The U.S. Centers for Disease Control and Prevention (CDC) announced on February 2, 2016, that 33 people from 23 states have been infected with the outbreak strain of Salmonella Virchow in a food poisoning outbreak linked to Garden of Life RAW Organic Shake and Meal Products. Garden of Life, LLC, recalled some of its shake and meal powdered supplements on January 29, 2016, because the products have the potential to be contaminated with Salmonella bacteria. The Weinberg Law Firm is currently assisting victims of food poisoning outbreaks nationwide. If you or a loved one contracted Salmonella after consuming a Garden of Life shake or meal product and you would like to learn about your legal rights, please contact The Weinberg Law Firm toll free at 1-877-934-6274. The CDC reports that available epidemiologic and laboratory evidence suggests that Garden of Life RAW Meal Organic Shake and Meal products are a likely source of the current multistate Salmonella Virchow outbreak. Of the ten ill people interviewed by public health investigators, all reported consuming powdered supplements or meal replacement powders in the week before becoming ill. All ten of those interviewed reported consuming Garden of Life RAW Meal products. Utah and Oregon public health officials reported that Salmonella was isolated from open containers of Garden of Life RAW Meal collected from homes of the outbreak victims. Health investigators will conduct additional laboratory testing to determine the DNA fingerprint of the Salmonella isolated from the Garden of Life RAW meal containers. DNA finger prints are obtained by using a laboratory technique called pulsed-field gel electrophoreses (PFGE). This information is used to identify individuals who are part of the same food poisoning outbreak. According to the CDC, one DNA fingerprint, or one outbreak strain of Salmonella, is included in this outbreak investigation. DNA finger printing can also be used to identify a food product that may have caused a cluster of illnesses. In this case, public health investigators will determine if the DNA finger print for the Salmonella isolated from the opened Garden of Life containers is a match for the strain that caused the eleven Salmonella outbreak illnesses. 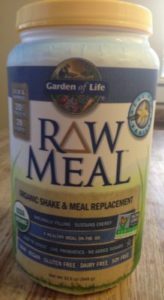 On January 29, 2016, Garden of Life recalled some of its RAW Meal Organic Shake and Meal Products, because the products have the potential to be contaminated with Salmonella. Please see Garden of Life Salmonella Recall for a list of products covered by the recall. The recalled Garden of Life products were sold in sizes ranging from single serving packet to full size, and were available for purchase nationwide in retail stores and online. In its Advice to Consumers and Retailers, the CDC cautioned that because Garden of Life RAW Meal products have a long shelf life, consumers should check their home for the recalled products and should not consume the products. The CDC further cautioned that even if some of the RAW Meal was eaten without anyone becoming ill, the remainder of the product should be thrown away in a closed plastic bag and placed in a closed trash can. Retailers were cautioned not to sell the recalled Garden of Life RAW Meal products. People who think that they might have become ill from eating a recalled Garden of Life RAW Meal product should talk to a health care provider. Symptoms of Salmonella food poisoning (salmonellosis) may include diarrhea (sometimes bloody), abdominal cramps, nausea, vomiting, fever, chills, headache, muscle pain, and joint pain. Symptoms may appear within 6 to 72 hours after eating a Salmonella contaminated food. Most people recover within 4-7 days; however, severe diarrhea and/or vomiting may lead to dehydration and electrolyte imbalance requiring rehydration with intravenous fluids. In the most severe cases, the bacteria may spread from the intestines to the blood stream (septicemia) and other body sites. This can result in death, unless the person receives immediate antibiotic therapy. The elderly, infants and young children, and those with impaired immune systems are more likely to suffer the severe effects of salmonellosis. If you suspect that you have contracted Salmonella, or are experiencing Salmonella food poisoning symptoms, contact your healthcare professional. He or she can order a stool culture to confirm Salmonella infection. Let your doctor know if you have consumed a product known or suspected to be contaminated with Salmonella. A blood or tissue sample may be required if doctors suspect that the infection has entered the blood stream. If you or a loved one is diagnosed with Salmonella food poisoning, are awaiting medical confirmation of infection, or have a question regarding your legal rights, you can request a free legal case evaluation by calling the personal injury lawyers at The Weinberg Law Firm toll free at 1-877-934-6274.